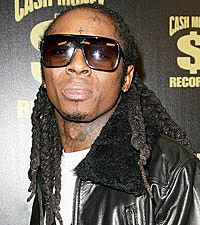 Lil Wayne Prison Journals to Be Published? For years, Lil Wayne has maintained a distinct mystique by never writing his lyrics or thoughts down on paper, but that all changed during his recent stint in prison. The word-hungry MC started a journal to detail his thoughts and map out lyrics for new songs that will presumably become bangers for 'Tha Carter IV.' Young Money president Mack Maine got a sneak peak and said the journal was so interesting that he's now seeking out potential avenues for publication. "There's no word that I can think of that properly defines these lyrics," Wayne recently explained in a letter to his fans. "Amazing would be too typical and perfect would be unfair." Wayne has had an odd impact during his nearly year-long imprisonment. He was the first rapper since Tupac to score a No. 1 album on the Billboard 200 while behind bars. That record, 'I Am Not a Human Being,' was originally supposed to be released as a free mixtape but has sold approximately 323,000 copies since its release on Sept. 27. For his Cash Money brethren, keeping Wayne in the public eye with a steady onslought of releases and videos was always the plan. "The challenge was to make sure you feel like he never left," said Cash Money leader and Wayne mentor Birdman to the AP. "We came with a good strategy and it worked."